It’s been a busy last 3 weeks, but it’s time to catch up the blog a bit. 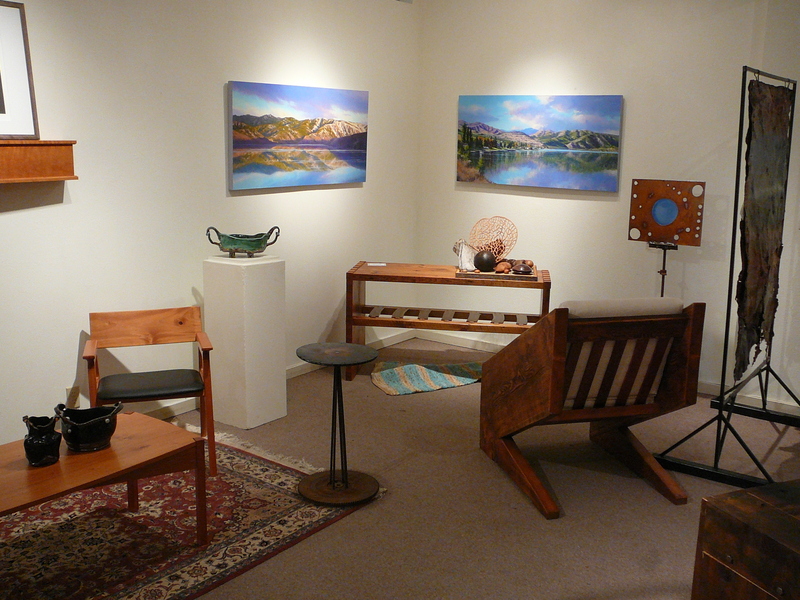 The “Inside Out” show opened at the Confluence Gallery in Twisp on Saturday, August 3. 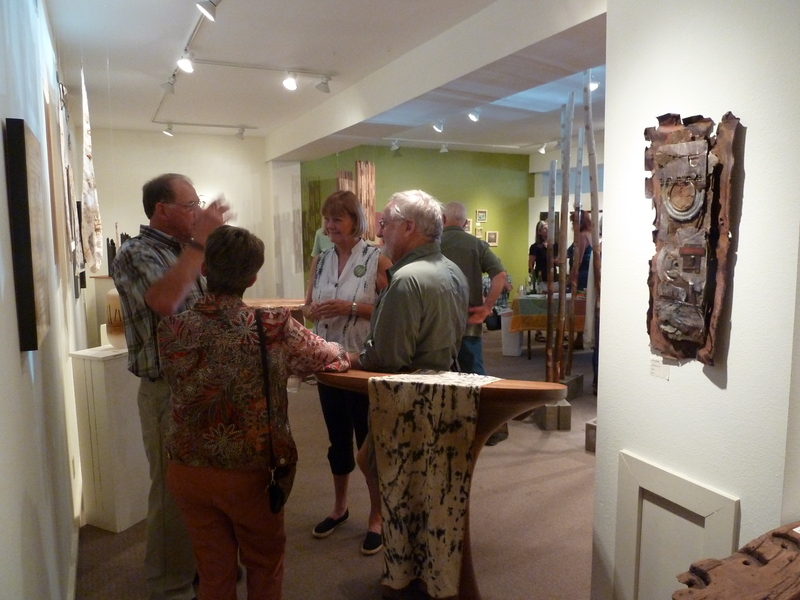 My dad, brother and sister-in-law were still here for the last weekend of the chamber music festival, so we all went down to the gallery the day before to see the show before the official opening. 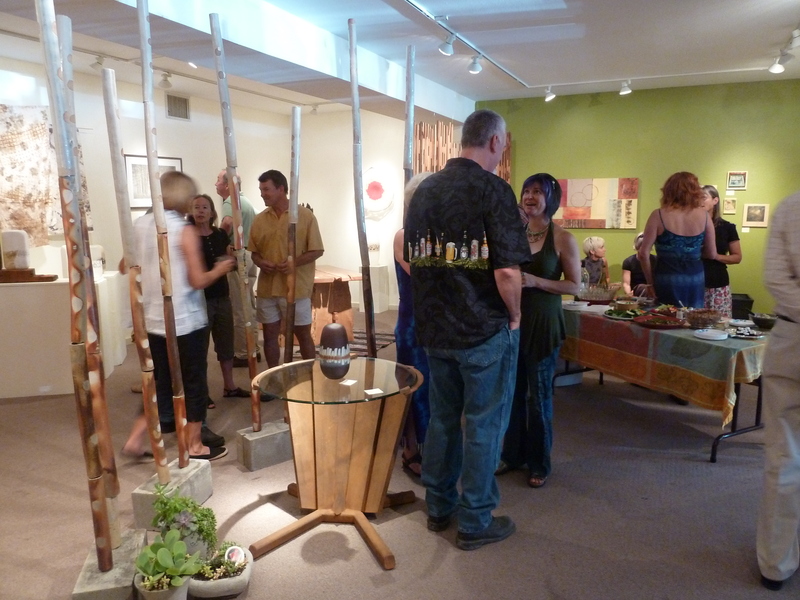 The actual opening was very well attended so it was a festive atmosphere! 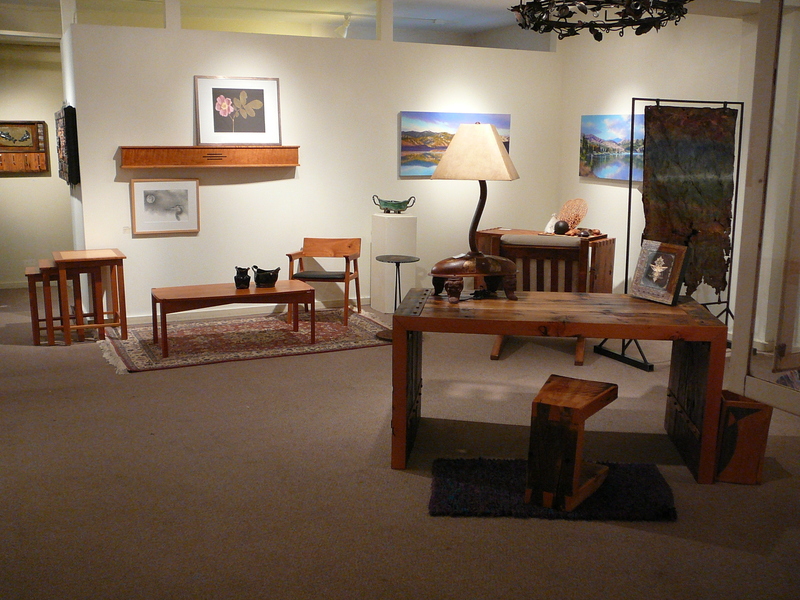 The following weekend, Rick’s sister and a friend of hers came over to see the Confluence Gallery show, our exhibit up at the Lost River Winery tasting room, and go on the annual Home Tour which is organized by the Confluence Gallery. They request that people not take pictures of the homes on the tour, so I am afraid I have none to show. 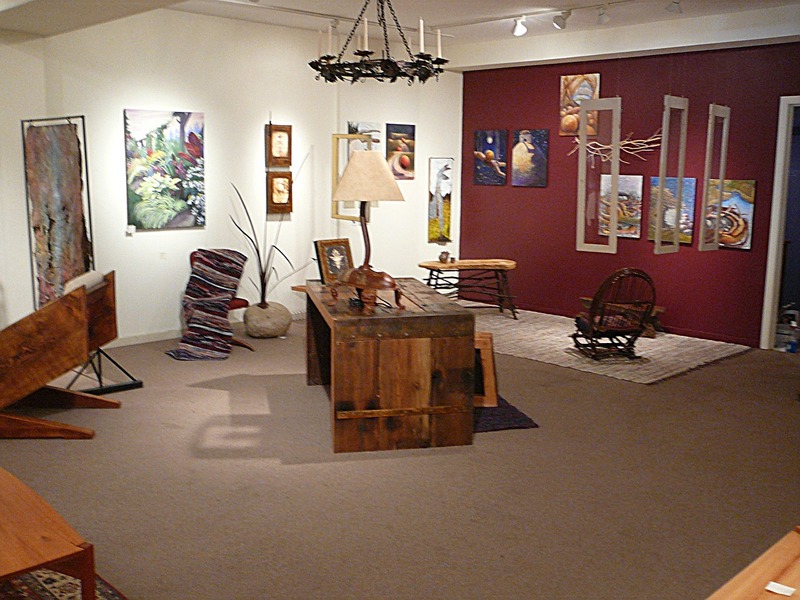 The theme this year was “Eclectic Methow” (eclectic: deriving ideas, style, or taste from a broad and diverse range of sources) and we did see some very interesting homes and sites. There must be some magic to having one of my rugs displayed on that chair – as of yesterday, I have sold three rugs off that chair! I believe all of them were sold to people visiting the valley from out of town (I know one was shipped to California). 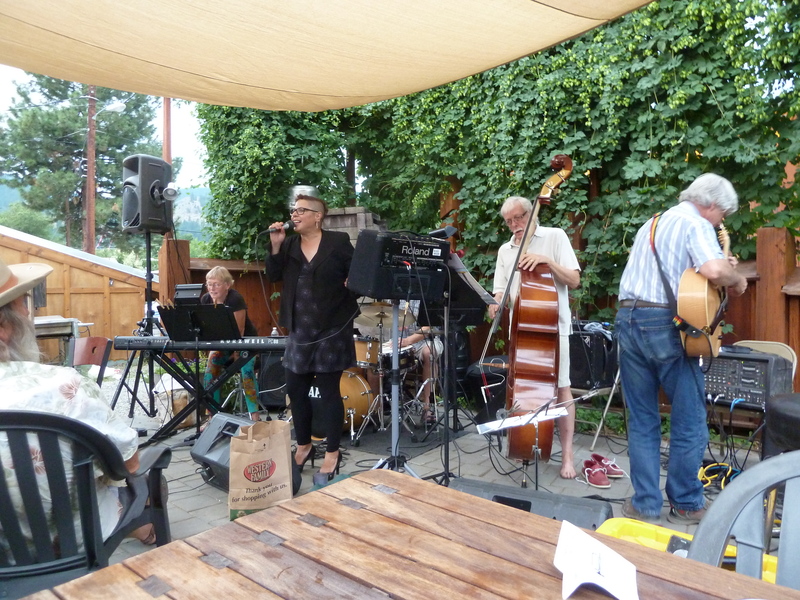 Summer Wednesdays mean jazz night in the beer garden at the Twisp River Pub. 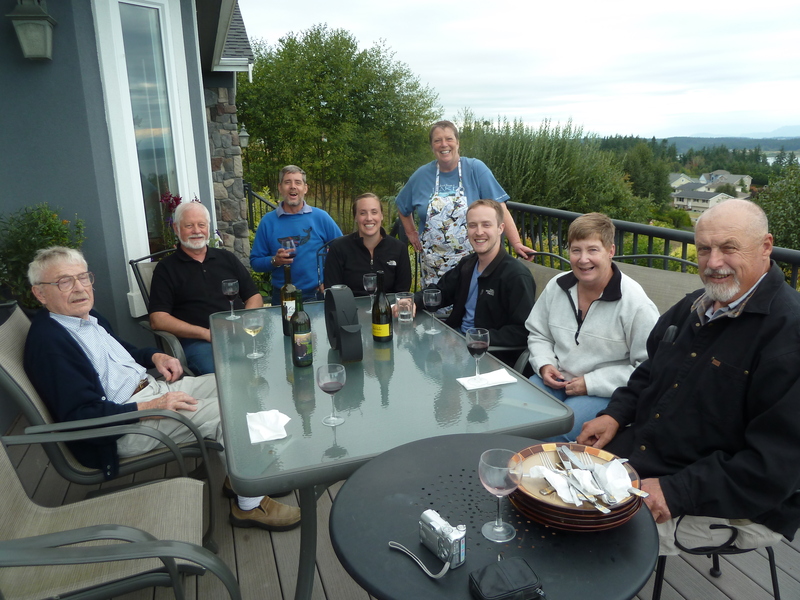 Last week we went down for dinner and music with the Pasayten Quartet and Laura Love on vocals. She not only has a great voice, she is a real entertainer! The weekend of the Home Tour (August 10-11) there were strong thunderstorms with wind and heavy rain at times, mostly at night. We actually had a beautiful sunny day for the home tour itself, thank goodness. 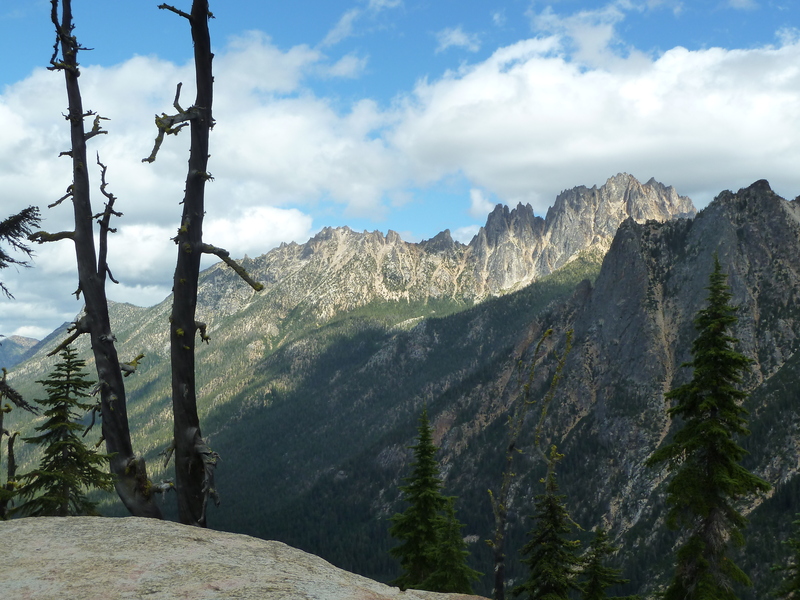 But this resulted in major mudslides up in the North Cascades that shut down Highway 20 for a little over a week! It is reported they had to remove 3000 dump truck loads of gooey mud and rocks, plus repair guard rails, set up new drainage systems, and repair damaged roadway. We drove over to the Coast on Sunday August 18th for a family gathering, and had to go over Stevens Pass, which was actually fine until we hit the little towns on the west side. Between low speed limits and traffic signals, it got pretty clogged up. 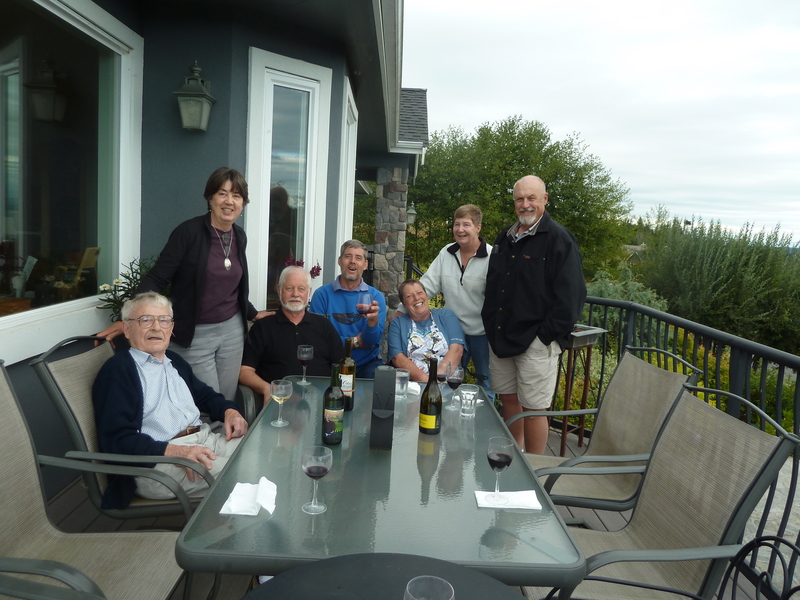 But we made it to Camano Island to get together with my Dad, my two siblings and their spouses (sister and brother in law came from Colorado) and one of my nieces and her fiance, who had flown in from Texas. It was totally worth the drive over to see everyone! They re-opened the pass the next morning, so we were able to drive home over the “North Cross” highway. 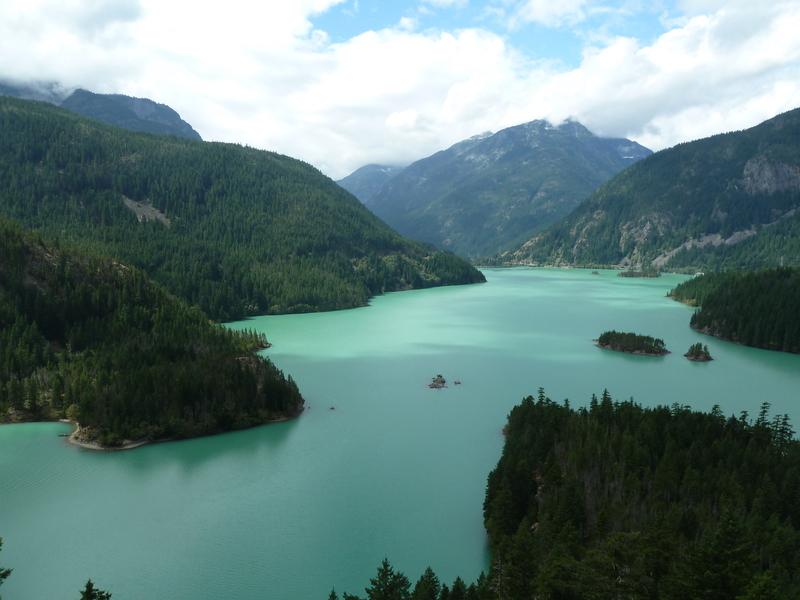 The lakes behind the dams (power for Seattle City Light) were an amazing milky blue-green color, presumably due to all the silt in the water from the heavy rains. I have been weaving a lot of rugs, but will save those pictures for the next post. It’s time to move on with my day! Love your pictures, happy that you had such a great time with the clan. Hi Katie, It’s so nice to read about your life on the “other side.” I’m glad you’ve found a community that you fit into so well.